With the technology we have today, it is now easier than ever to capture every moment. Taking a picture or video is as easy as pulling out your phone and snapping away. But no matter how simple and effortless it is we still want higher quality. Don’t you want your photos and videos in the highest quality physically possible? Companies that build smartphones put a lot of attention and effort into upgrading their cameras to meet the quality that consumers demand and expect. Well here is a revolutionary camera technology being produced by AP Photonics Limited. This technology improves camera quality dramatically by employing an optical image stabilization mechanism which controls the lens to counter any external vibrations. So let’s say you are running along with a GoPro or you shake someone’s hand while videoing, normally this would introduce a lot of shaking in the finished video. Well if your device houses AP Photonics tech you will see something a lot different. The high precision gyro-sensor detects the vibration while the control driver analyzes the data at a high speed. The actuator then kicks in to control the optical components in real-time to counter the external vibration. Think about it for a second- this opens up so many possibilities when it comes to recording video and taking photographs because you will be able to enjoy the moment and not worry about whether or not you are moving too much. Because of its compact size and low power consumption, it is best suited for mobile devices but can be used in nearly any product. Are you ready to stop worrying about whether or not you are moving too much while recording video and taking pictures? For more information on AP Photonics camera technology go to app-hk.com today. Sometimes the lighting in a room can make or break the perfect picture opportunity. Instead of struggling to get the best angle to capture the lighting in a picture, use Rift Labs’ The Kick to select the best lighting yourself! The Kick is a portable light source the lets you pick from programed light color options as well as customize light colors to enhance photos and videos taken on your smartphone. The Kick along with the free app gives you the control to create the perfect lighting for any situation. The Kick is a multi-color and multi-function light source that is perfect for anyone to capture the best lighting for your smartphone camera! The World Wide Web is a humbling place. It’s a resource for people to connect from all around the globe. Randid, an app that we came across, allows people to use this resource in an extraordinary way. Randid allows people to send and receive pictures from total strangers. You can receive amazing pictures from anyone across the globe, so expect to see thrilling pictures of beaches, mountains, and beyond. If you’d like to learn more about this app, you should watch our video review below. The goal of posting the best picture using your smartphone has been taken to new heights. With apps like Instagram and Twitter to post your works of art and apps like InstaSize or iPhoto Editor to edit these photos, there are more resources than ever before to be a self proclaimed photographer. In your quest to be a critically acclaimed social media photographer, also known as “InstaFamous,” here is a product that can help you take better photos with your smartphone just by adding an accessory. OmegaBrandess’ Ztylus is a protective case that offers a 4-in-1 lens solution attachment. This product includes 4 different lens for your smartphone to take more professional looking photos. These lens include: wide angle, super macro lens, fish eye lens, and a circular polarizer lens. Along with the 4 lens, this case is stylish and also includes a kickstand. This phone accessory is the most convenient and easy way to enhance your smartphone pictures! Changing lens is quick and efficient and when you don’t want an extra lens on your way at all the 4-in-1 lens solution can be detached from your phone till you need it again. The case is created with the accessibility to be used whenever the user wants and easily removed when not wanted. If the Ztylus case is a product you’re interested in, it can be purchased on the OmegaBrandess website. Visit http://www.omegabrandess.com and browse the Ztylus link to look at the case for iPhone 5/5S and Samsung Galaxy and Note. Communication is constantly changing. In today’s visual world social media platforms, websites, and computer programs are all great ways to send a message. 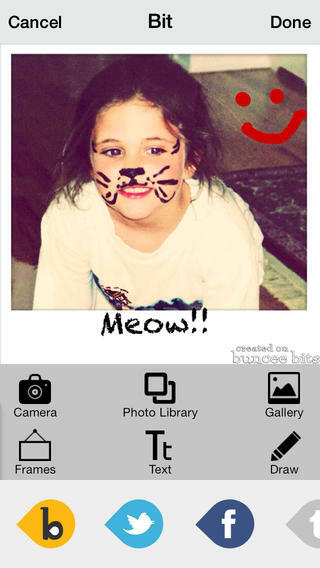 These messages consist of pictures, videos, notes, music, and more! What is most important about these, though, is the way you convey your ideas. I recently stumbled across Buncee when trying to make an e-card for Father’s Day. Buncee is an interactive and customizable digital platform that livens up communication. It can be used for businesses when creating digital advertisements, or for personal use to create an e-greeting, invitation, or a scrapbook. It’s also helpful for teachers that want to make an appealing lesson plan and students who have a presentation. When constructing or posting items you always have a specific audience in mind. It is crucial to be able to resonate with your audience and Buncee will make this possible! You can also go to buncee.com or search for Buncee in your app store today. I’m kind of irresponsible when it comes to taking care of my devices. It seems like I always lose or break them, so it’s always better when I have less devices. Out of all my devices that I’ve had, I was the worst at taking care of my camera. For some reason, I would always lose or break them. So after three or four, I decided it was better to ditch a nice camera and stick to the camera on my phone. The only downfall to taking pictures on my phone is that when I want to upload them, it’s a pain to load each individual picture. When I post pictures on Facebook, it’s especially annoying because they always upload to the mobile album. I’d love to upload my photos straight to a specific album. There’s an app called Belynk that I wish I could use for my phone. The app is free for Android phones and even has 4.6 stars in the Google Play store. 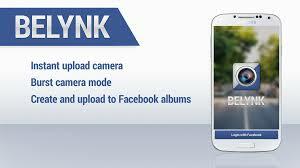 With Belynk, you can directly upload your pictures to Facebook. So instead or worrying about uploading them, you don’t even have to think about it. You can upload your photos to specific albums, so you don’t have to have a bunch of random pictures in your mobile album. Also, you can select who can and can’t see specific albums, because no one wants mom to see them doing a keg stand. If you have an Android phone, you should really check out Belynk and learn more about it here.